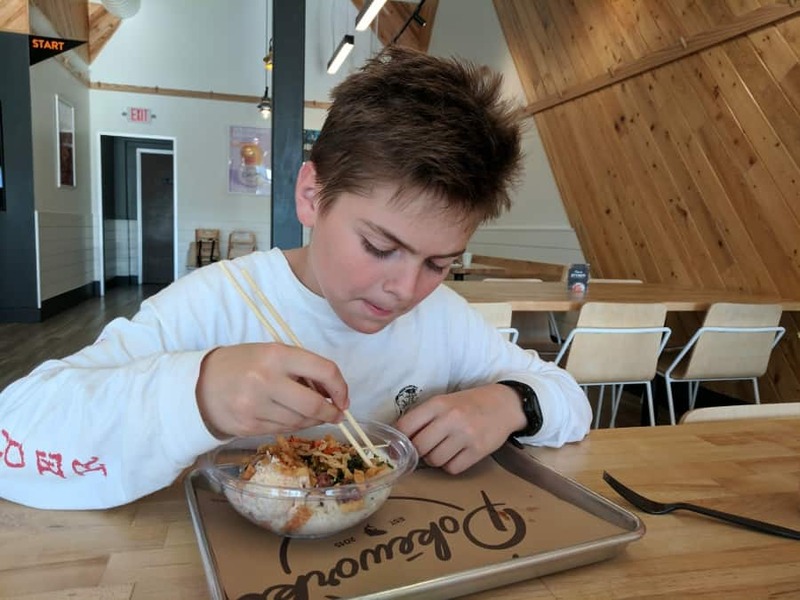 My tween thinks I’m just a little cool, now that I’ve taken him to Pokéworks. I had just him after rugby practice and we decided to find the trendiest quick dinner around Montrose. And I think we did pretty well with poké. 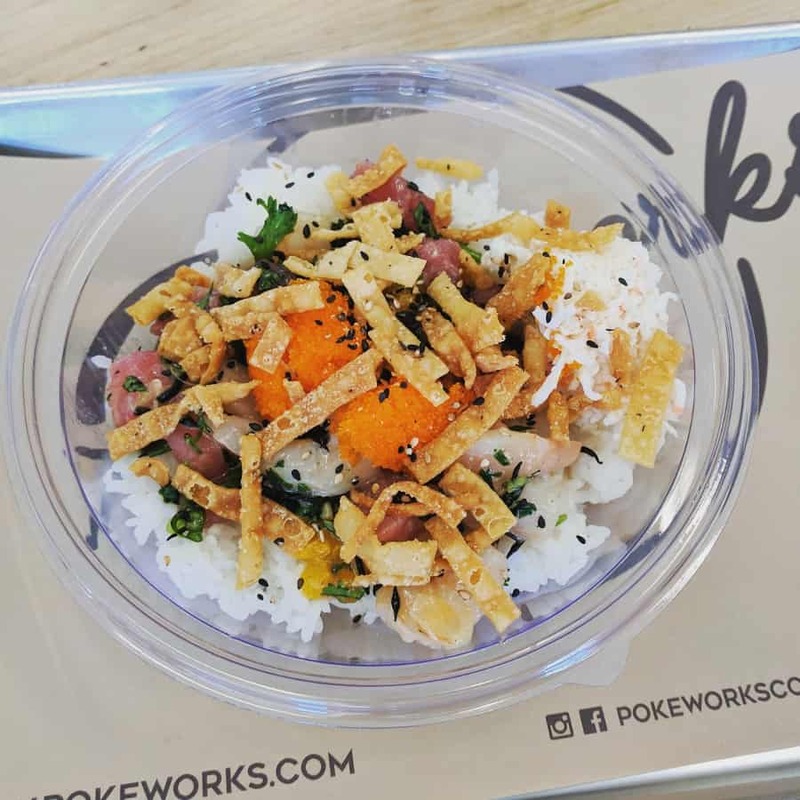 Poké is basically a rice bowl… or like sushi, in a bowl. 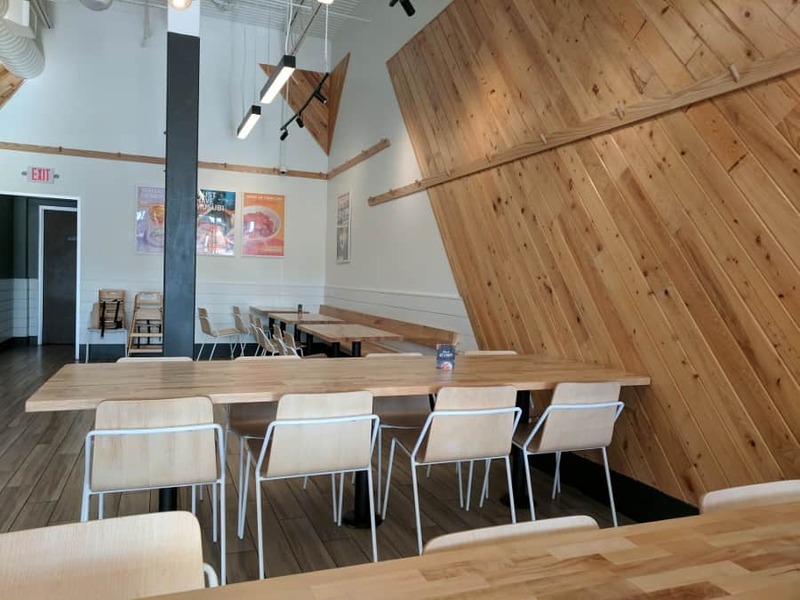 At Pokéworks, you order at the counter and can pick an item off the menu or create your own. You can make a bowl, burrito (which is like a big piece of sushi wrapped in nori) or salad. 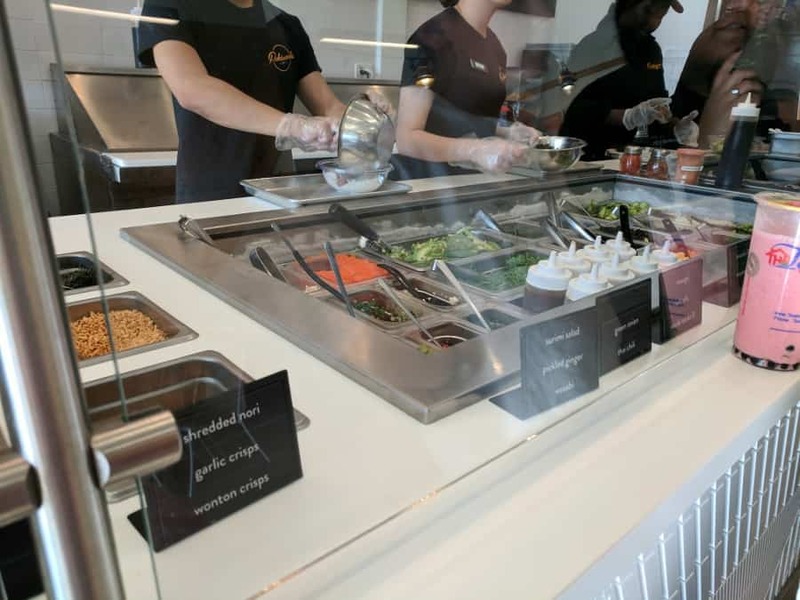 Similar to Salata (for salads, not poké), you get to pick lots of toppings and only get charged extra for the premium items (like avocado). Bowls are $11-13… but they are fresh and delicious. The food is fast… but much healthier and tastier than most fast food! You can get raw and cooked fish… plus chicken and tofu. My son was pretty pleased with his food and sorta cool mom… and thought we should celebrate with bubble tea next door at the Teahouse.